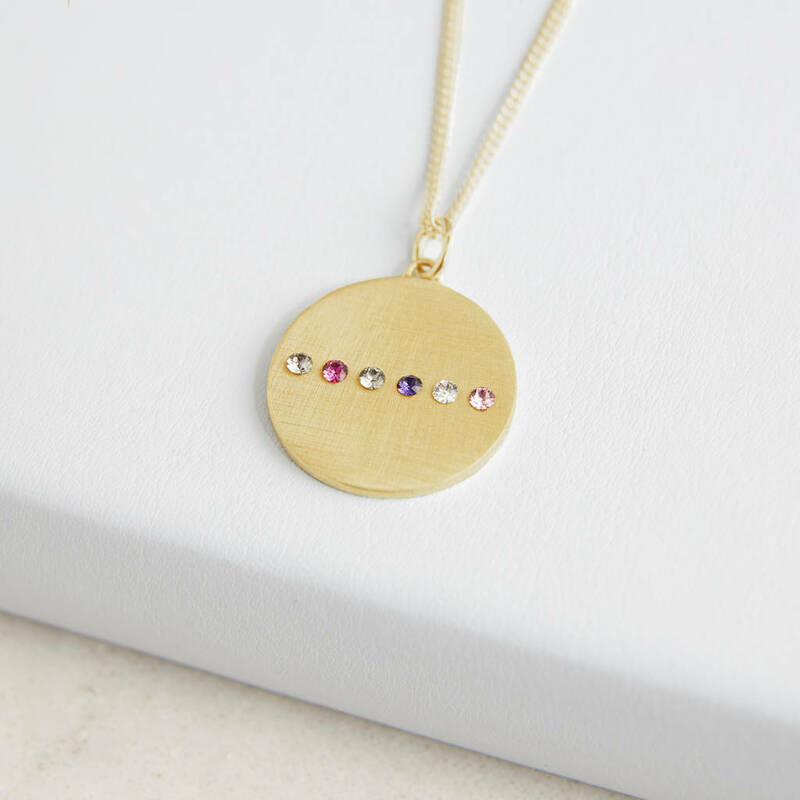 A truly unique, personalised necklace by way of a secret date handmade with Swarovski crystals. The reverse is blank for a meaningful engraved message. 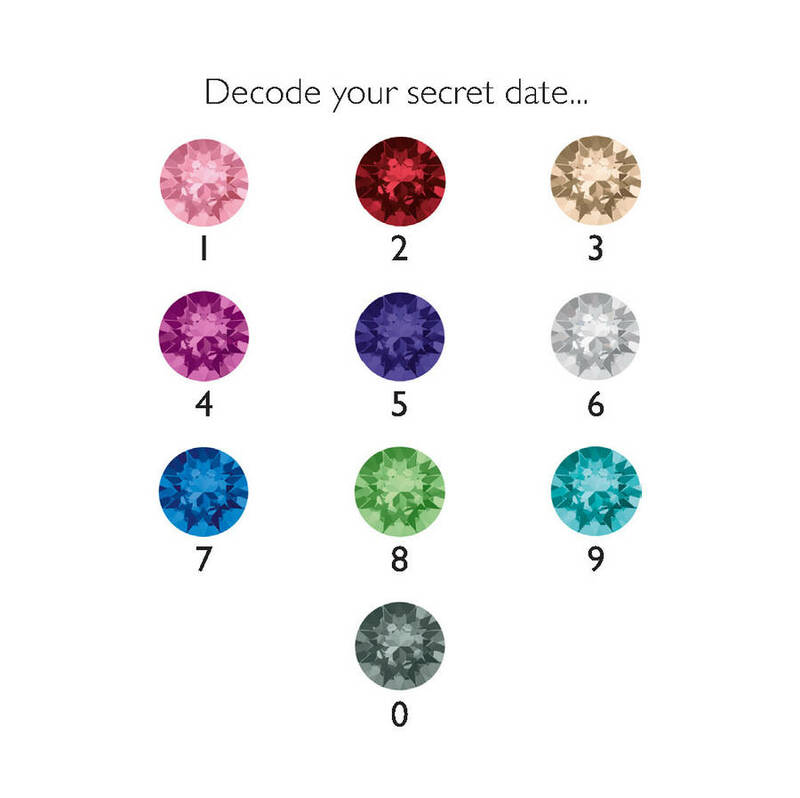 This precious pendant can be personalised with six coloured Swarovski crystals - each coloured crystal corresponds to a number and you have the freedom to spell out a special date that only you and the recipient can read. 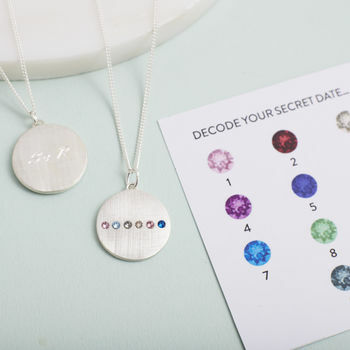 Choose six numbers for your necklace; for example 25.12.15. 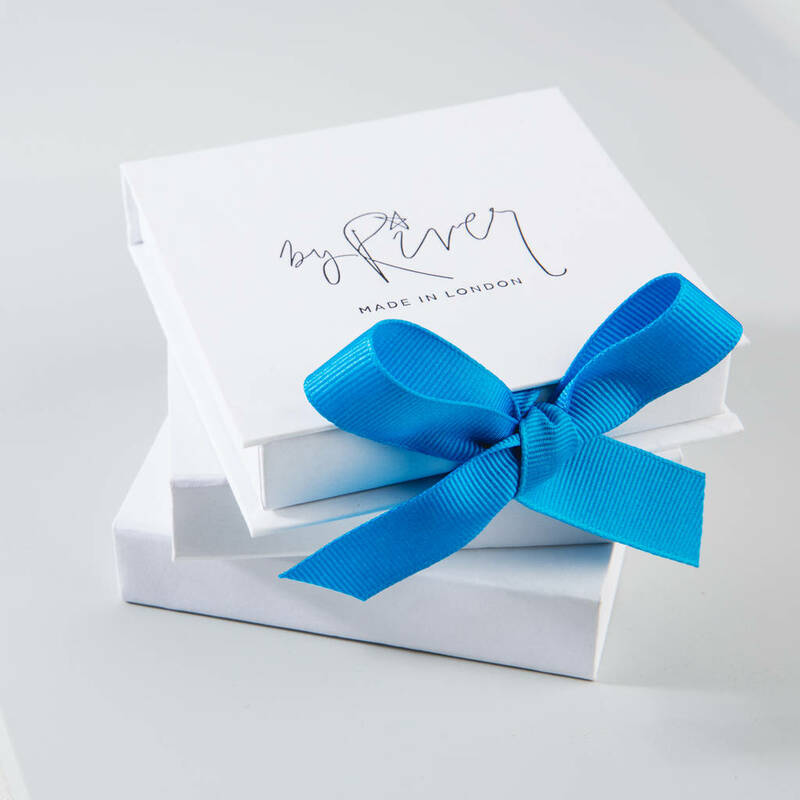 For a super thoughtful gift for your partner choose your wedding date, for a unique gift for mum choose her childs date of birth, or for a special birthday ie. 21st or 50th choose a birth date. The necklace will arrive in a luxurious ribbon-tied gift box with an instruction card for the receiver to ‘decode’ their hidden date. The necklace is available in silver plated, sterling silver or 22 carat gold plated on sterling silver - please select from drop down menu. The finish on all metals is brushed. 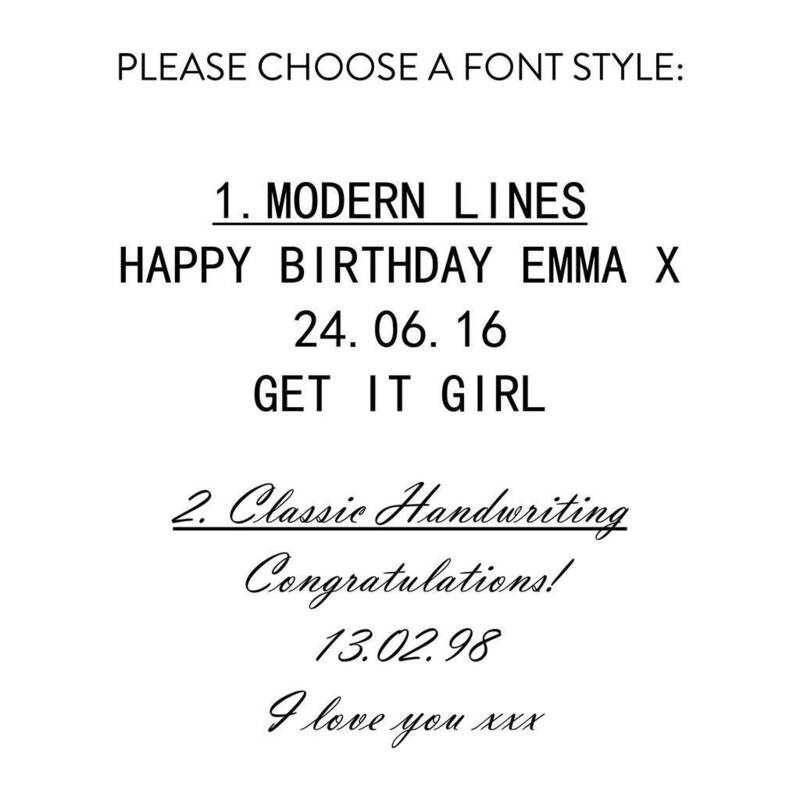 Modern Lines: Upper case only. If you write your message in lower case we will change it into upper case. Classic Handwriting: Upper and lower case available. You can engrave up to 2 lines of text on to one side of the pendant. There is a maximum of 9 characters per line, including spaces. If your message has fewer than 2 lines, please leave the spare boxes blank. The necklace has an adjustable length chain which extends from 41 - 46cm (16 - 18 inches). Due to the personalised nature of the necklace this item can not be returned unless damaged. Silver plated, sterling silver or 22 carat gold plated sterling silver and Swarovski crystals. Swarovski crystals 2mm, pendant diameter 2cm, necklace chain extendable from 41 - 46cm (16 - 18 inches).